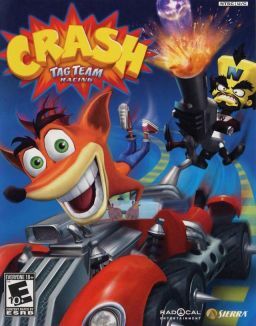 Crash Tag Team Racing is the twelfth installment in Sierra Entertainment/Radical Entertainment’s Crash Bandicoot series and the series’ third racing game. Due to “cartoon violence and crude humor”, it is the first in the series to receive a rating higher than E in North America or 3+ in Europe. The story follows Crash Bandicoot, who is attempting to become the owner of a dilapidated theme park by uncovering missing Power Gems before the villain, Doctor Neo Cortex, does.